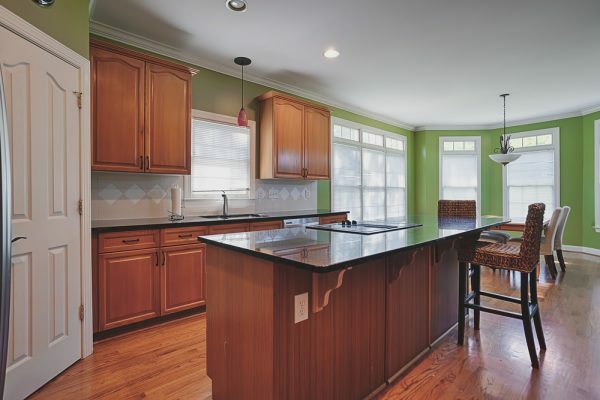 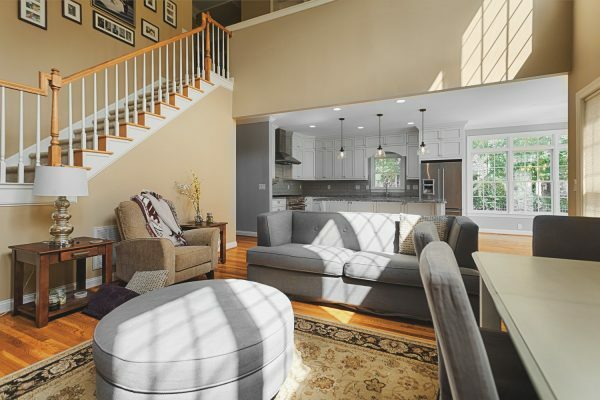 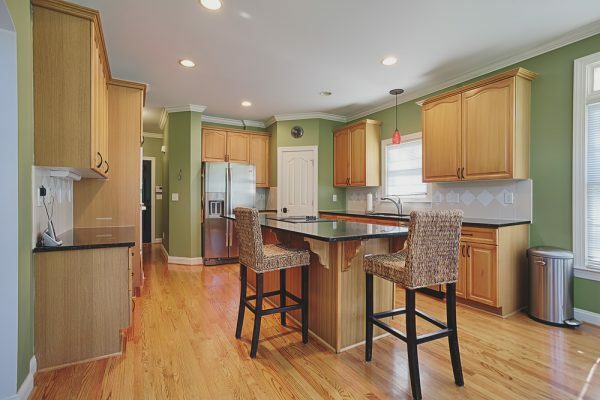 This Mavin area home was in great shape, but in need of an update. 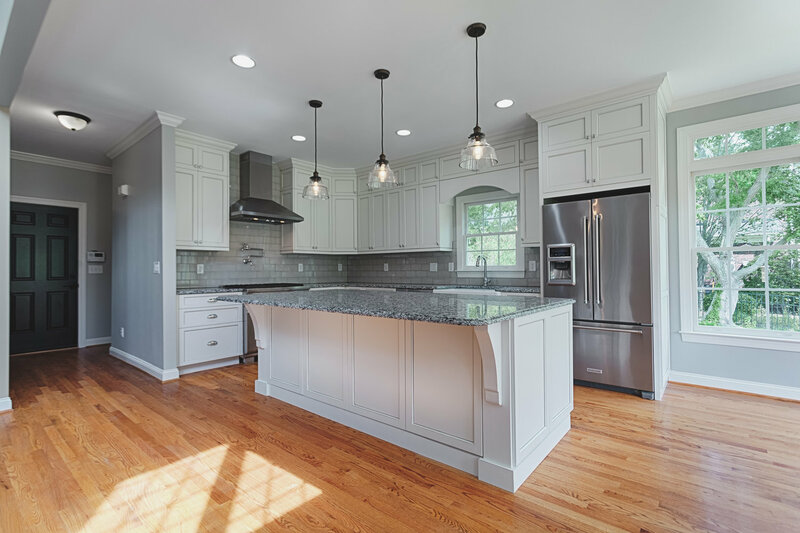 It’s a great example of the Detailed Interiors design-build approach: the arch into the kitchen gave the appearance of open space, but the reality is it was hard to communicate between rooms. 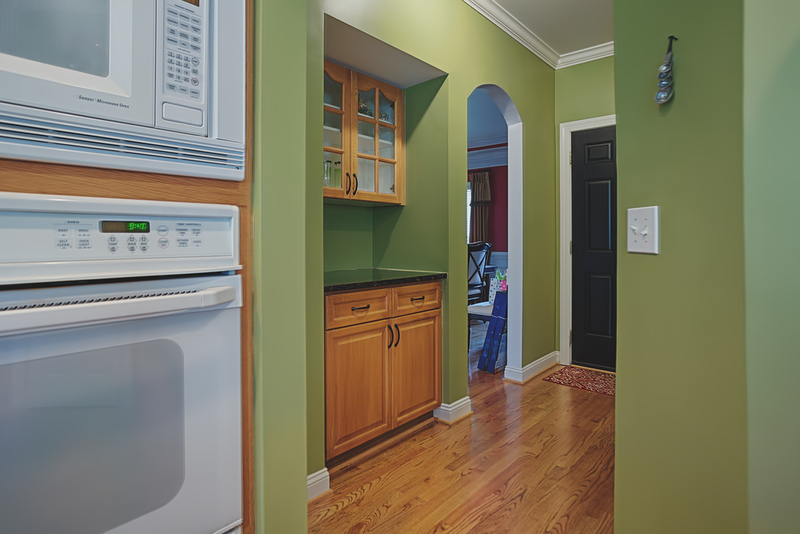 The home had the typical boxy feel of an early 2000’s era home, and the owners wanted a beautiful, updated kitchen that opens into the family room. We used 3D modeling to help show a new design that had the features the homeowner wanted, plus a few suggestions from our team. 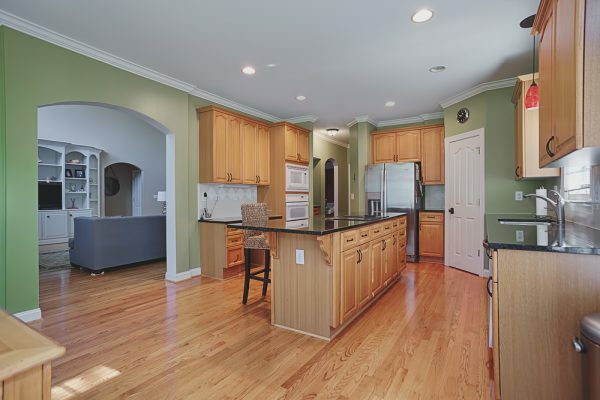 The end result – a beautiful and modern kitchen that flows well into the rest of the house. 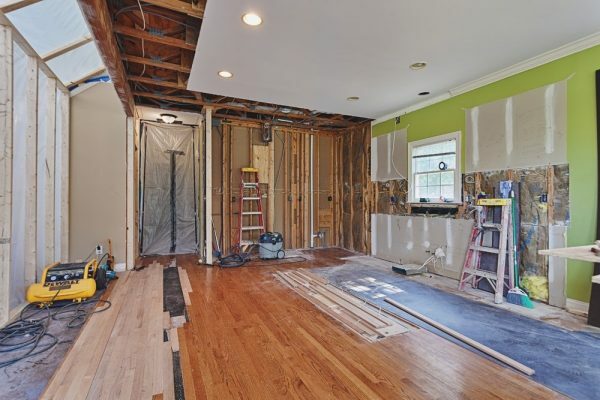 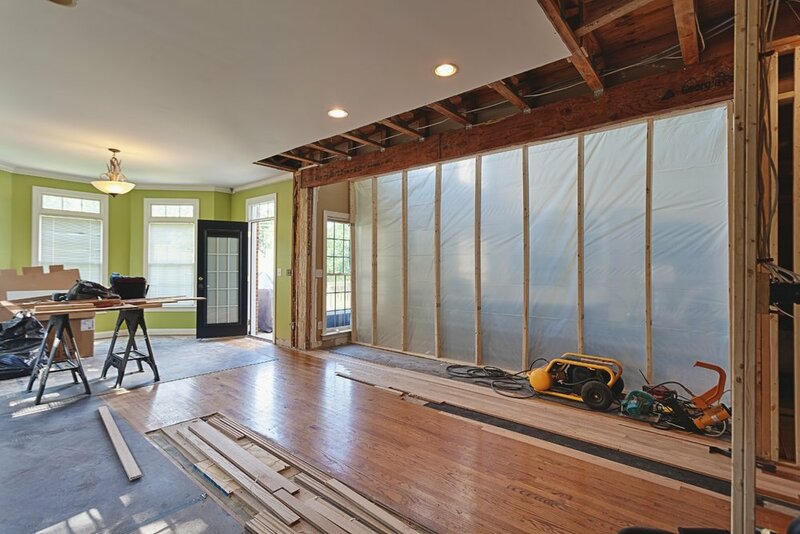 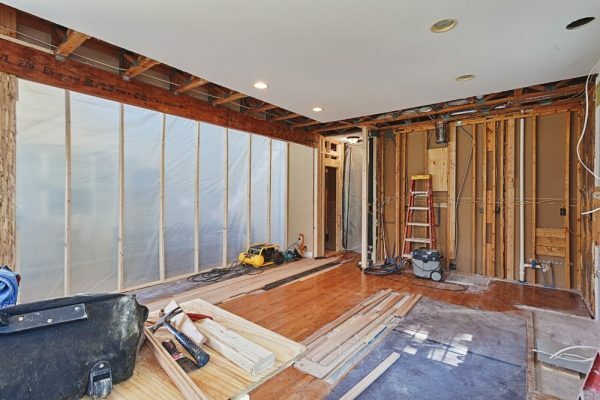 This remodel involved demolition of the existing space and removing an entire wall, replacing it with an engineered beam. 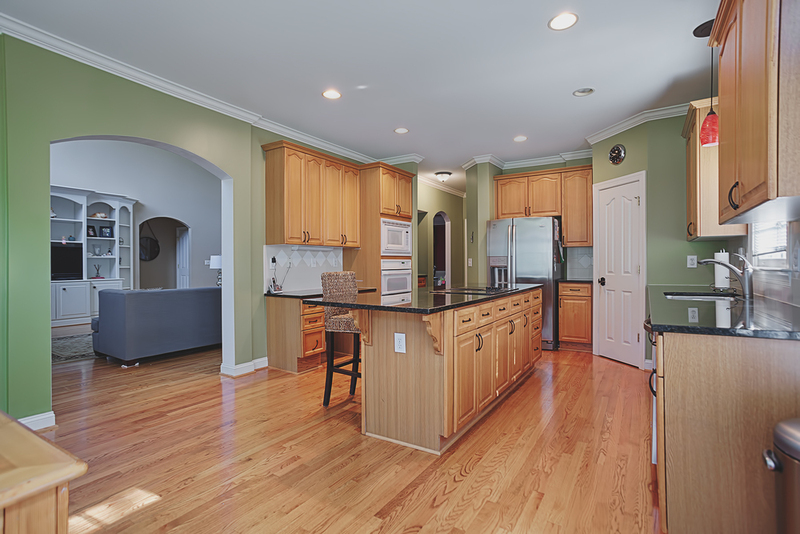 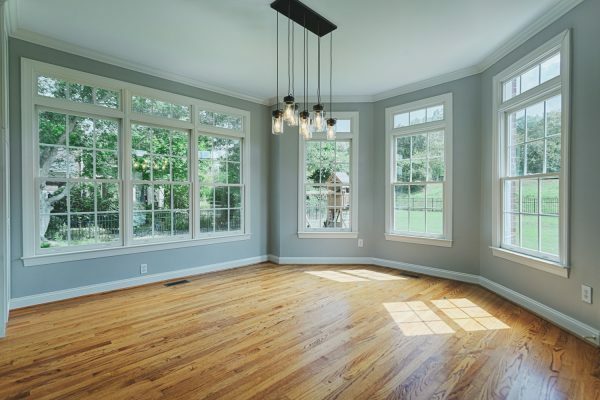 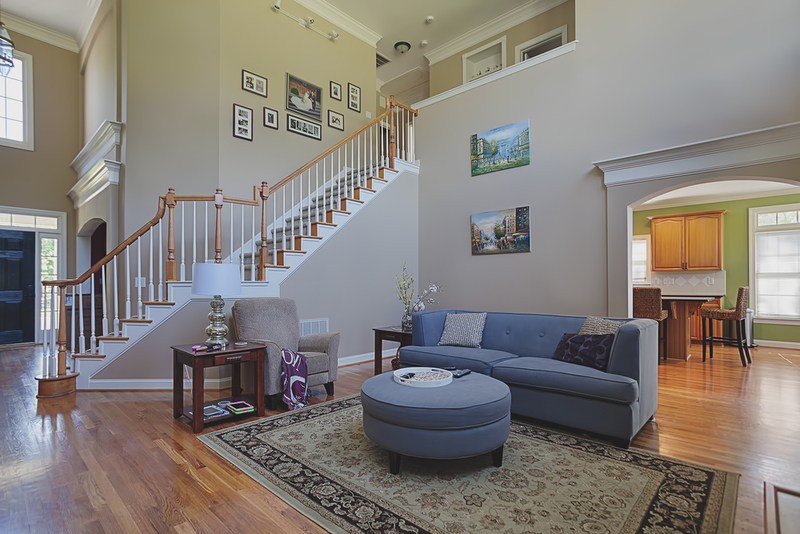 We retained much of the existing wood floor and dovetailed new hardwood in as needed. 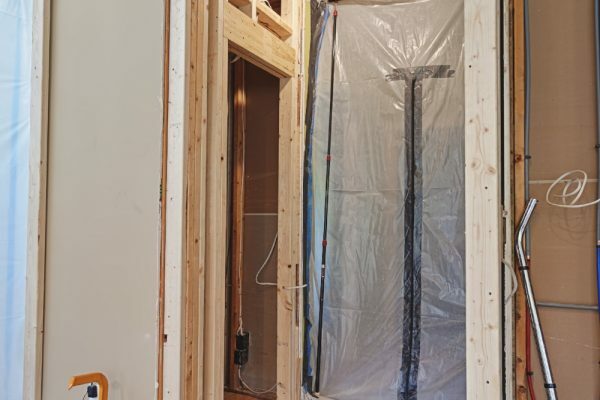 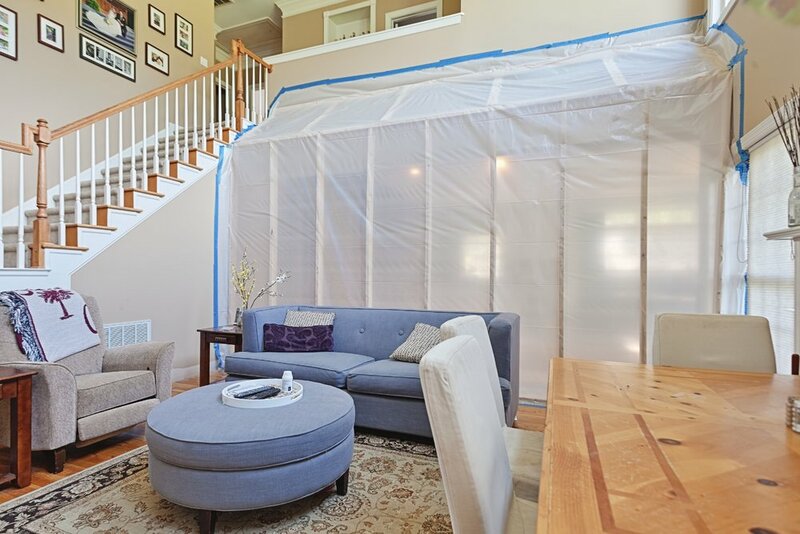 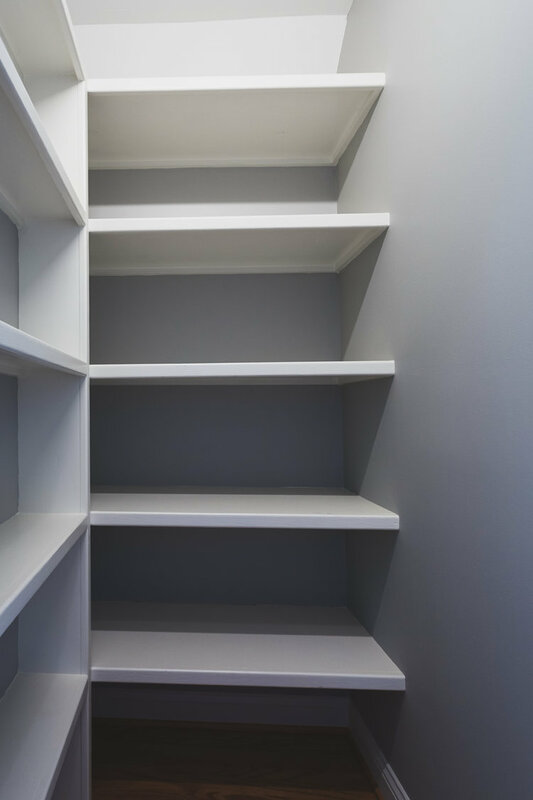 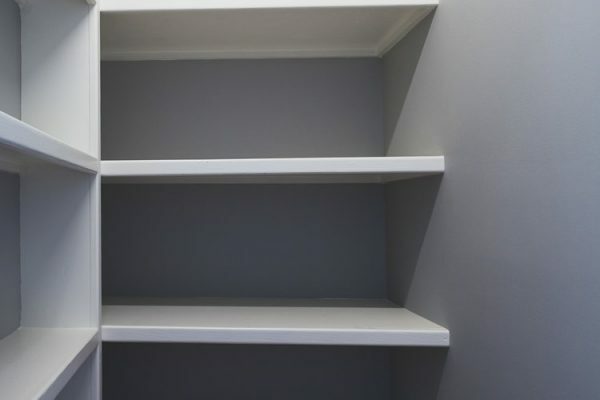 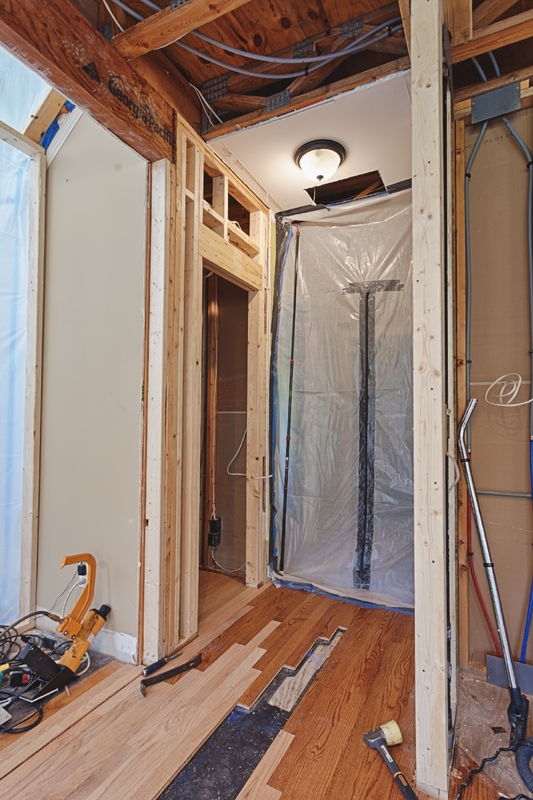 Our engineer created structural plans for eliminating the load bearing wall. 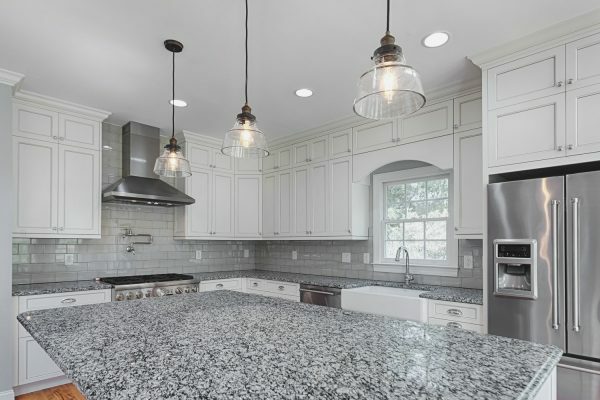 The floor system under the island was reinforced to handle the concentrated load. 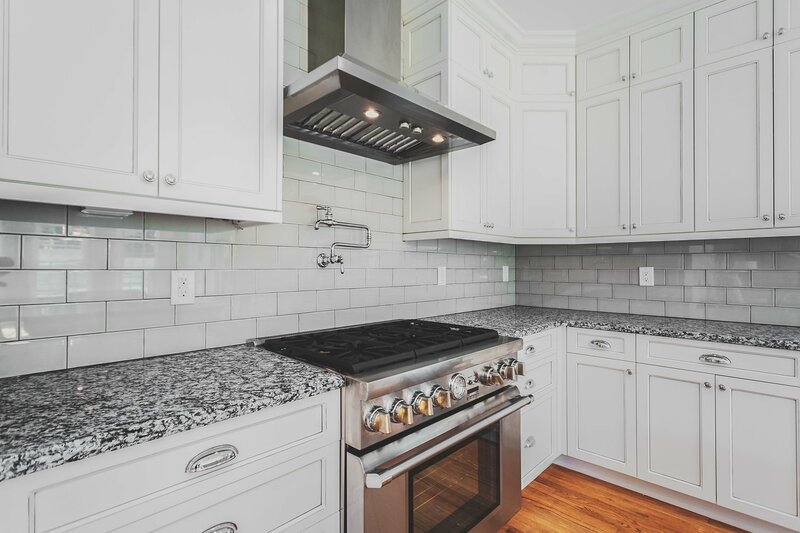 A pot filler at the range reduces trips between the sink and cooking area. 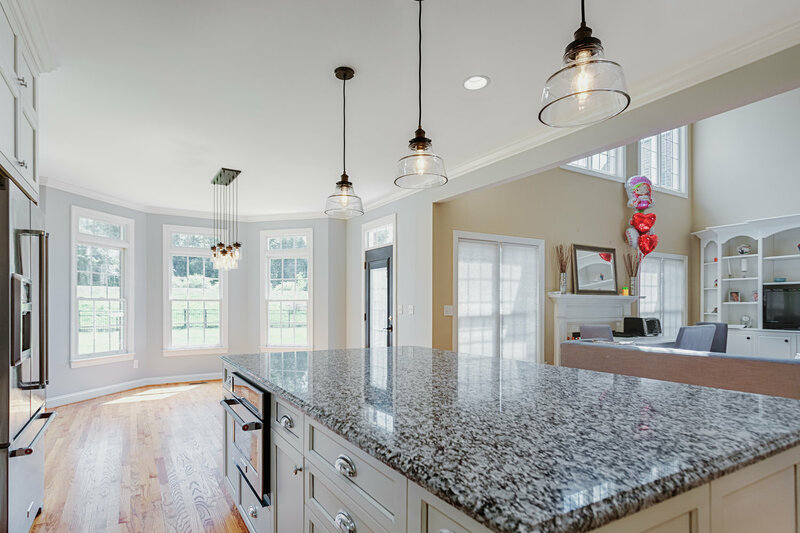 A combination of recessed lights and hanging fixtures balances the function of good lighting with a beautiful look. A new center island balances the open space while creating a new work area and counter for additional seating. 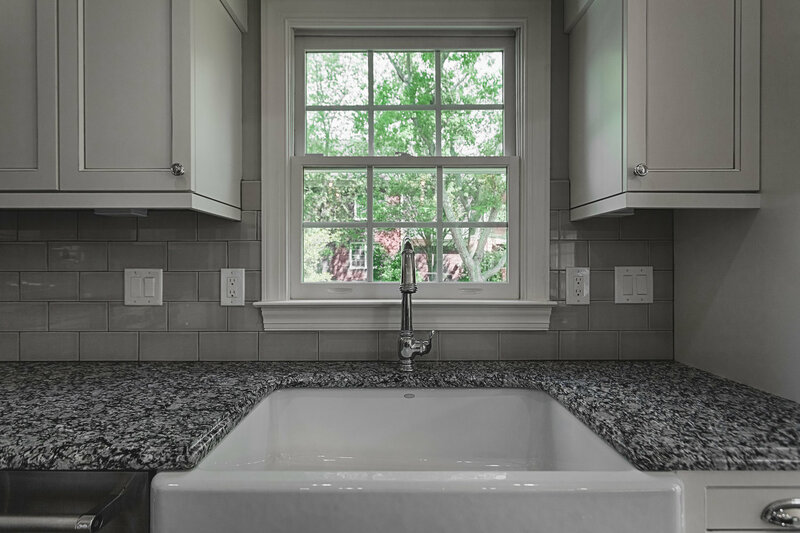 Creative use of new cabinets and space let us keep the bright windows for lots of natural light.